​Arsenal have been buoyed by news that young French goalkeeper, Alban Lafont, who is tipped for super stardom has admitted he would join the Gunners should the opportunity arise. The 19-year-old keeper has earned comparisons with Milan's Gianluigi Donnarumma after taking Ligue 1 by storm with Toulouse, following an impressive few years in between the posts for the French outfit - where he has amassed over 80 appearances to date. Lafont has by earmarked by a host of European powerhouses who are set to battle for his signature in the summer, but the 19-year-old has spoken of his affinity for Arsenal after following the club since an early age. In an interview with​ SFR Sport, Lafont revealed: "I’ve liked them since I was young – I’d watch the matches of Robin van Persie." With Lafont showing plenty of promise in his early years Arsenal could be looking at a keeper who is capable of competing at the top level for at least another 10-years, and with Petr Cech starting to show weakness an investment into Lafont would not go amiss. However, the 19-year-old remained tight lipped when discussing a potential exit from Toulouse in the near future. Lafont added: "I don’t know, we’ll see how it goes. For the immediate future, I would like to save my club [from relegation] and after that, we’ll see later. 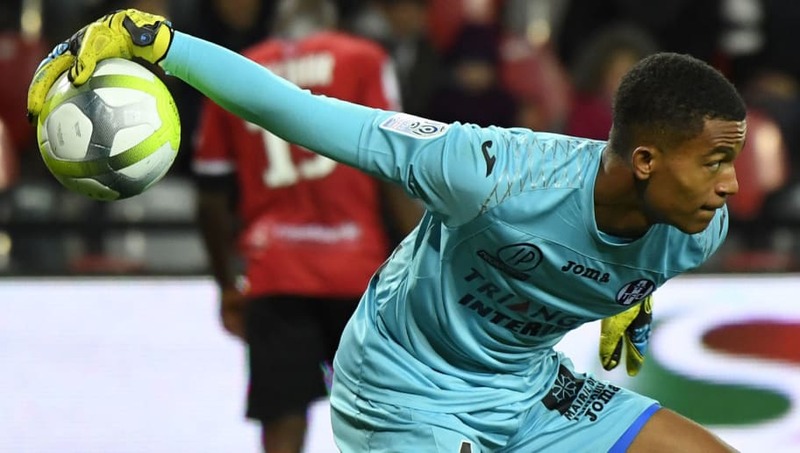 Capped with France from Under-16 to Under-20, Lafont has gained experience beyond his years and appears to be a world class keeper in the making.